10 years ago I followed my entrepreneurial dream and opened Leather Soul. 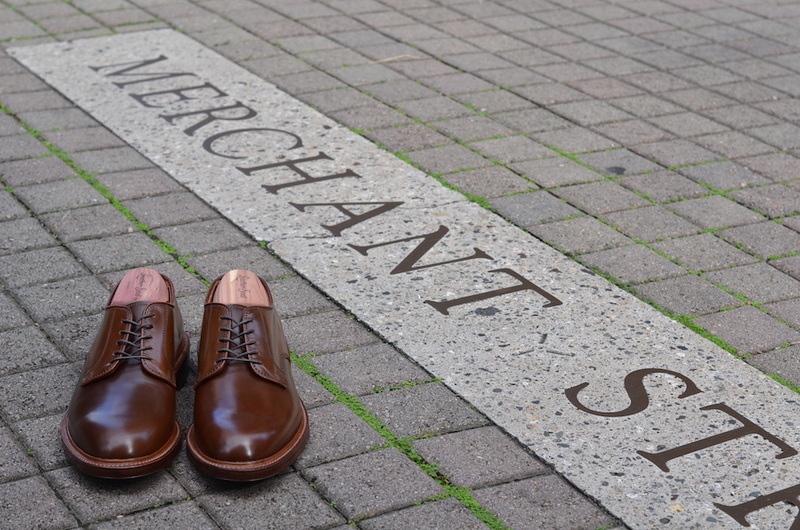 Alden Shoe Company has been a focal point of my business from day 1. My first ever Leather Soul x Alden makeup was a plain toe blucher on the Leydon last with a storm welt and double leather sole. I offered it in cigar and black shell cordovan, later in color #8. To commemorate my 10 year Anniversary I made that exact same shoe I made in 2004 but this time in ravello shell cordovan. Maybe for my 20th Anniversary I can offer it in whiskey shell cordovan? Mahalo to everyone who supported me through this journey. I truly appreciate your aloha. Tom and company, congratulations on ten years! Best of luck in the next ten! I’m very sorry to see I missed these. Any chance on another run?